Contacting a car accident lawyer is vitally important if you or a loved one has suffered an auto accident injury, whether as a driver, passenger or pedestrian. This can make the difference in Getting the Compensation You Deserve! Thousands of people are killed and millions experience an injury after a car accident each year. Any auto accident, regardless of how minor the collision, can be a traumatizing experience for all involved. The Rothenberg Law Firm LLP are personal injury lawyers that have been handling car accident lawsuits for decades and can provide the advocacy you need to ensure your rights are respected every step of the way. There is absolutely no fee to contact our office. ***Your initial consultation with a car accident lawyer is always FREE! ***We never collect a fee unless we are successful in getting money for you. The moments following a car accident can be a terrifying time of one’s life. If anyone is suffering from an injury after a car accident, immediately call the police for help and tell them you need medical assistance. Make sure everyone is safe and get all of the medical assistance you need. In the aftermath of an accident, it is important to obtain crucial information. Access The Rothenberg Law Firm’s, checklist: “What To Do After A Car Accident” or click the infographic on the right. Do I Have a Personal Injury Accident Case? The first thing that many individuals wonder when they experience an injury after a car accident is if they have a case for an injury lawsuit. Of course, it is impossible to say with certainty whether one has a valid legal claim without knowing the full details about the situation. However, in general, if you were injured because of the negligence of someone else, you may very well have a legal claim against the person who injured you. If this is the case, then it is time to seek out the leading personal injury attorneys. It is important to understand that injured parties have legal claims in many different situations, even when the claim might not be self-evident or you are unsure as to who caused the accident. Because every situation is very fact-specific, you should always consult a car accident lawyer to review the facts of your particular situation. Due to the nature of insurance companies, it will be in your best interest to have as little contact with insurance representatives, or any other parties, as possible before speaking with an auto accident attorney. Insurance adjusters are trained to try to help lower the amount that the insurance company will eventually have to pay to settle the claim. When you have been in a car accident you will probably not be thinking clearly, and may even be injured, and things you say can be used against you later. Never make statements about who you think is at fault for the wreck, or what you think happened during the accident: these are questions that your auto crash attorney will help you answer truthfully but appropriately. Likewise, if you are in a car accident, always insist on a police report being taken at the scene. When two narratives conflict, it is important to have a police report that reflects the events that occurred at the time of the crash. Because every situation is very fact-specific, you should always consult a personal injury attorney to review the facts of your situation. Some of the top personal injury lawyers at The Rothenberg Law Firm LLP always offer a free consultation. Therefore, there is nothing to lose by explaining how you were injured and learning how the law applies in your specific situation. Can I handle my own personal injury claims? Can I use any type of lawyer or do I specifically need a car accident attorney? Following an injury after a car accident, it is understandable for an individual to want to settle the matter quickly and move on as soon as possible. As a result, many people are tempted to try to take care of all issues—including legal issues—without getting help from a car accident attorney that focuses their practice on personal injury claims. Before proceeding on your own, it is crucial to understand the pitfalls of trying to handle your case without legal representation. You can be sure that those representing the negligent party—usually an insurance company—will be lawyers working to pay out as little as possible. Insurance companies and their attorneys often calculate the value of your claim based on how aggressive they feel the injured party will fight for full compensation for the harm caused. When you retain a car accident lawyer to fight for you, you are essentially ensuring that you are not taken advantage of by the other side. You should retain an auto injury attorney who has vast experience in handling car accident cases and one who is able to stand up to the insurance company at all costs. If the other side is not cooperating and your case requires judicial intervention, the attorney must be prepared to take the case to court to ensure full and fair recovery. Knowing that you are willing to go as far as necessary to ensure justice by obtaining experienced legal counsel that has a focus in no fault car accident claims often means that the opposing side will deal more reasonably right from the start.You need a car accident attorney to fight for your rights and to show the insurance company that you are serious about your case. An auto accident attorney at The Rothenberg Law Firm LLP will take your personal injury claims on a contingency fee basis, which means that you do not have to pay any money up front—our car crash lawyers are only compensated following successful recovery. Should I Accept the Insurance Company’s Settlement After My Auto Accident Injury? It cannot be reiterated enough that insurance companies are in the business of paying as little as possible for every claim, to help them maximize company profits. No matter how nice the insurance adjuster seems, the adjuster’s only goal is to pay you as little as possible. In fact, the adjuster is usually rewarded for resolving personal injury accident claims for as little as possible and as quickly as possible. For these reasons, an insurance adjuster will contact you immediately after your car accident and may even offer to visit you soon after an auto accident injury. In fact, the adjuster often comes ready to make a payment immediately in order to convince you to accept a settlement worth much less than you actually deserve. This is an underhanded tactic used to end a matter right away when an injured party is at their most vulnerable. It is extremely important that you do not to fall for this trap. There is no reason to rush into accepting a settlement or offer from an insurance company without first seeking out the best personal injury lawyers to help. You should always think through all legal decisions and not sign away your legal rights without being fully informed of the consequences. It is impossible to make generalizations about the value of any car accident case without knowing the details of the auto accident injuries and the manner in which the accident took place. The law allows recovery for a wide range of situations, many of which may not be readily apparent to the injured party. This includes past medical bills, future medical and rehabilitation costs, therapy, lost past wages, lost future income, pain and suffering, and more. An experienced personal injury attorney will fight to obtain money for you to compensate you for all of your damages, past, and future.In addition, a car crash attorney may consider seeking compensation for other members of your family who may have been adversely affected as well. Harms to spouses and/or children can often be recovered separately from the damages awarded to the injured individual. Your car accident attorney will explain whether damage awards to your spouse or children applies in your case. Your car accident lawyer will always consider a range of issues when making determinations about what damages to seek. Be careful not to fall into the trap of believing the worth of your car accident lawsuit based on the value that an insurance adjuster has placed on your claim. Always keep in mind the fact that an insurance adjuster is not advocating for your interests and he or she has the incentive to drastically underestimate the value of your losses. Only an experienced car accident attorney with a duty to fight for your interests can provide a fair assessment of the value of your case. What Are The Types of Causes Of Car Accidents? Motor vehicle accidents can have many causes, but for legal purposes, it is often easiest to consider that most accidents are caused in one of three ways: (1) driver negligence, (2) reckless/intentional misconduct, or (3) defective equipment. Driver Negligence is perhaps the number one cause of an auto accident injury. Negligence in the car accident context means that the driver causing the accident did not exercise reasonable care under the circumstances. The driver’s actions are compared to what a reasonable person would do under similar circumstances. 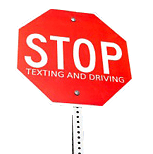 Examples of negligent driving include driving too fast or too slowly for the conditions, distracted driving (on a cell phone or texting), carelessly ignoring traffic signals, or not taking conditions like rain or snow into account. There are many areas in which negligence can occur, but the common thread is that negligence is a failure to act reasonably under the circumstances, without the actual intent to cause the resulting harm. Intentional misconduct, on the other hand, is an act committed when the person knew that doing so could cause harm and did not care, or actively desired to harm others. Someone who drives at a high rate of speed, cutting in and out of traffic, is intentionally putting himself and others at risk. The law of strict liability could apply in some circumstances when a product (such as the car itself) causes the accident. Under strict liability, a manufacturer of a product can be held liable for damages caused by its products, if the product is shown to be defective. A prime example of this is the well-known Firestone tire litigation. In those cases, defects in the tires caused accidents beyond a drivers’ control. The defects were not intentional but under the law, the manufacturer was responsible. Similarly, in some states, auto accident injuries caused by drunk drivers could result in liability for the business or host who supplied the alcohol and allowed the driver to drive in an intoxicated condition. The rules related to these issues are often referred to as “dram shop” laws. The Rothenberg Law Firm LLP has been handling car accident lawsuits for over 49 years. We have the experience and the dedication you need. The firm can be reached at 1-800-624-8888 or you can fill out a free online case evaluation form. The initial consultation is always FREE. If we pursue your case, there is no legal fee unless we are successful in getting you money. Timing is important because statutes of limitation affect how long you have to file a claim.